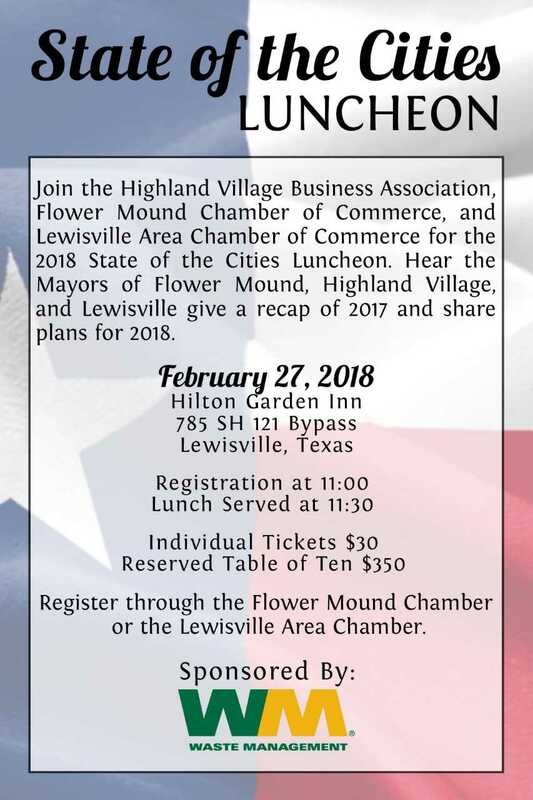 The State of the Cities Luncheon features the mayors of Lewisville, Highland Village, and Flower Mound. The mayors of all three cities discusse the growth and reinvestment of the local communities, providing a recap of the past year and a glimpse at the year ahead. View photos from the luncheon here. Special thanks to the event sponsor, Waste Management.